We are Landry members and eat at Morton’s quite often however this time my lobster bisque has lobster that was chewier than gum. I spit it out but finished the soup. I shouldn’t have. I was up all night with food poising. Not 100–% sure it was the bisque but that was the only food I had all day and it seems a little ironic. Maybe it’s yesterday’s lobster? Other than that we typically I’ve Morton’s! We celebrated a weekend in Vegas with our sons. The staff made sure our experience was over the top! Service was incredible from start to finish and the food fabulous. Thanks for a great dining experience! Very nice. Excellent food and service. Creme brulee was excellent. The lighting was a bit low for my taste but acceptable. Highly recommend this Mortons in Vegas. My first time at Morton's Stakehouse and won't be the last. Everything was first class. The stakes were done exactly as ordered and were delicious. Our waiter was fantastic. Very attentive but not overwhelming. It's worth the high prices. Great meal , great service ! WE JUST LOVE THE PLACE AND ATMOSPHERE. WE PLAN TO BRING SOME OUR FRIENDS OVER WHEN THEY GET IN TOWN. Morton's is a wonderful steakhouse and our server was outstanding. The food was amazing as well and the menu, while obviously based around steak, was varied and had good other options. Price is the main con here, very pricey with sides and salad also being extra. The price makes this a once-a-year kind of option. However, this is a wonderful steakhouse and I'm sure to return. While we normally dont frequent steakhouses we had a gift card. The service was excellent but the food average but high priced. The filets we're average at best and i felt the crabcake was good but not worth 20 dollard. Overall average food at a high price. Classy place for a romantic dinner. Our server Brian was attentive and great and the food was delicious! We ordered a veggie and starch side and each of us a steak plus the chocolate cake dessert. We had enough leftovers for a full meal the next day. Always excellent service, food and atmosphere. Great 25th Anniversary dinner. It was great, the food was amazing, the sides were delicious, was my gf bday and it was perfect. I really enjoyed it and will return when in Vegas for sure! The service and cuisine were outstanding. The hostess was also wonderful and very accommodating. Server was horrible . It was suppose to be a birthday surprise waiter announced it to my boyfriend . The food was not cooked well like I asked . When asked to take it back for well cooked lamb chops the same pieces I had in my plate was just put back into the oven . Overall the server was just horrible . Terrible service . Was told that the desert opinions were all they offered for birthdays whereas I was told different at a different location in Atlanta . This is one of our favorite places to celebrate special occasions. 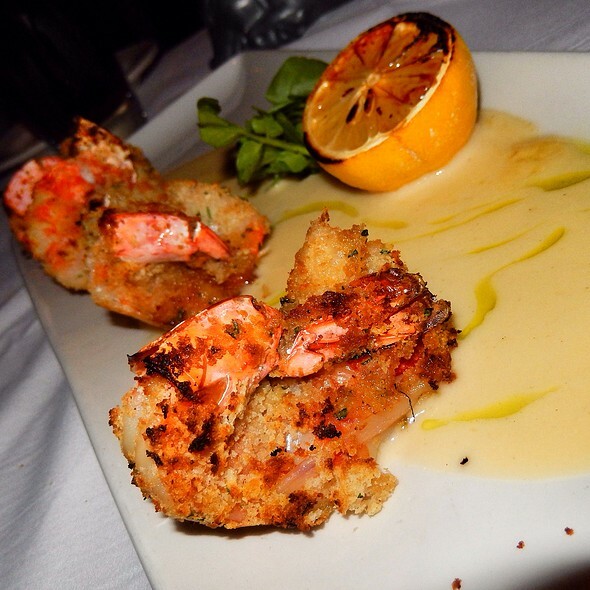 The food is great & service impeccable. Our waitress was special as she took care of all questions. Checked on us regularly but not on anyway annoying. The steaks, Lyonaise potatoes, broccoli were very good. Best old fashioned I have had in quite sometime. Thanks Morton’s for a very nice evening! The chilled ocean platter was not worth the money, only the oyster and the incredibly small piece of king crab were at all tasty and a decent texture, everything else on the platter was small chewy and tasteless. The lobster bisque had a rather good tasting base but very little lobster. I have had better at several other places and was expecting better at Morton's. Miso marinated sea bass was very good but miso is not our favorite way of preparing sea bass, other choices of preparation would be desirable. The hash brown potatoes were already cold when brought to the table and were way over done to the point of having a slightly burned taste. Instead of golden brown they were a very thick and hard dark brown crust with very little soft potato underneath. 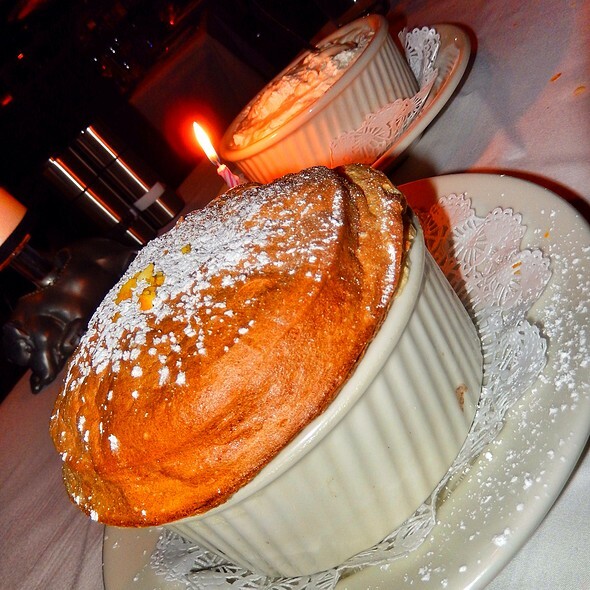 The Grand Marnie soufflé for dessert was quite good. Went there with my friend to have the Bar bites (like small portions), before heading to an event. Service was awesome and food to die for and worthy of price. Drinks were pricier than food. I'll definitely go again for more bar bites. Food wasnt particularly great. Room temperature, definitely not hot. Mashed potatoes were lumpy, brussel sprouts had little taste. Rhe bread was excellent. Exceptional food, service, staff and atomosphere. I highly recommend as an upscale steakhouse dining. Best service of any Morton’s I have ever been to in the past. The meal was amazing and the lemon soufflé was out of this world. We had a double birthday celebration this week. Sommelier was very friendly and customized the menus for us. Taylor was an outstanding server! They surprised us with a complimentary souffle for dessert. It really was a special night! Dinner was fantastic, staff was very inviting except one gentleman running the desk. He acted as if he didn’t care we were there. Steaks were very good, as were appatizers and dessert. Pricing was high, but not outrageous. However, we will not return because the music level was, to us, uncomfortably obnoxious. We asked the waitress and the manager to please turn it down, but that didn't happen. There are some very good restaurants in Las Vegas where you can enjoy a relaxing reasonably quiet meal. Group of 4 we all had a pleasant experience! Food was delicious & enjoyed the atmosphere. My wife and I enjoyed our 34th Valentines Day Dinner at our favorite steakhouse, Morton’s. 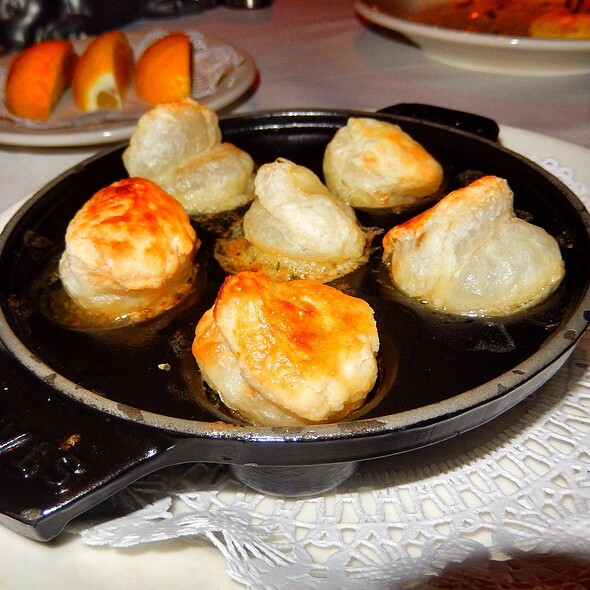 We’re never disappointed with the atmosphere, service, or the food! 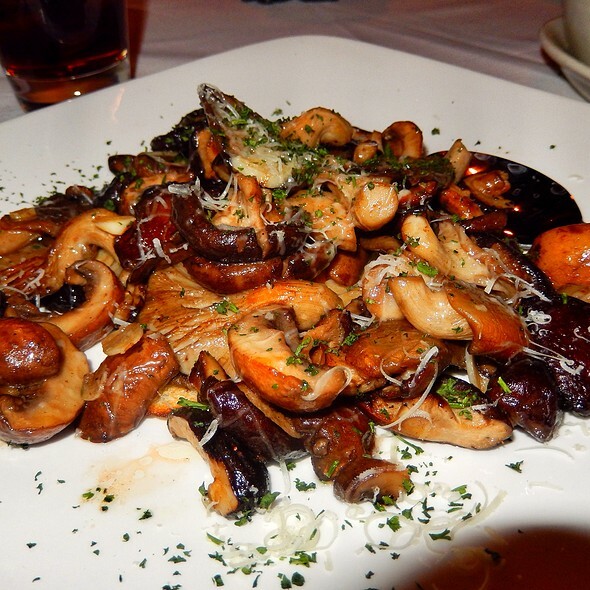 Do yourself a favor, if you’re looking for a special night of dining don’t skip Morton’s! 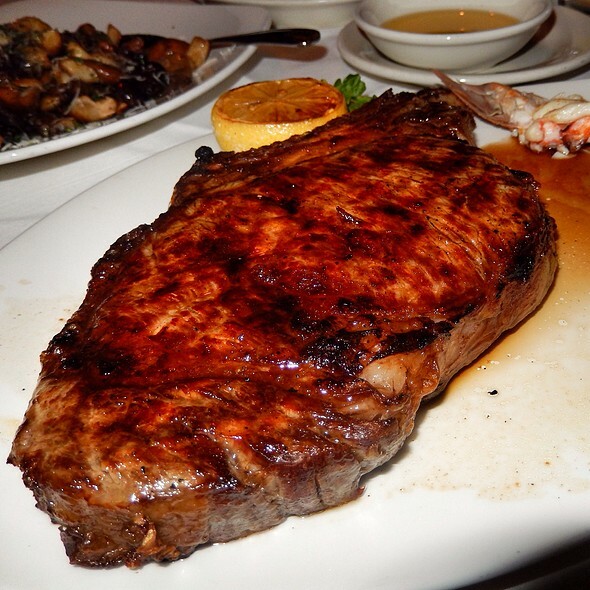 Morton's steakhouse made our Valentine's day experience perfect! Everything was cooked to perfection, and tasted awesome! It was one of the best Valentine’s dinner we have ever had. The service and food were excellent. 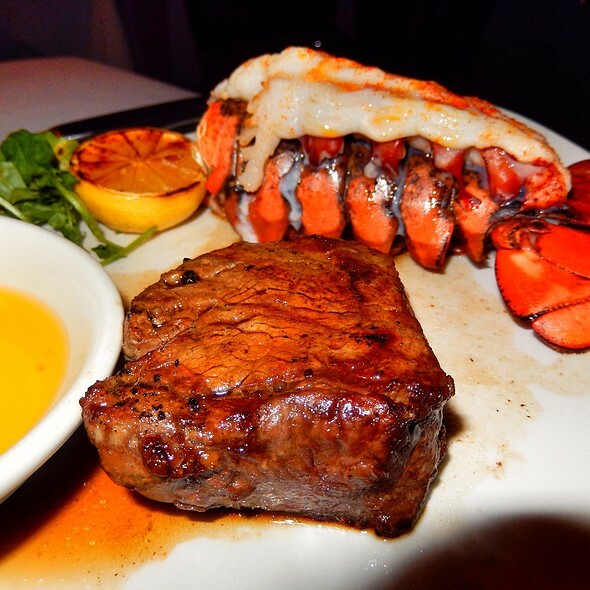 We ate at Morton's in Las Vegas on Valentine's Day and had a 5:30 pm reservation. Already they had run out of a side dish: their very tasty has browns.